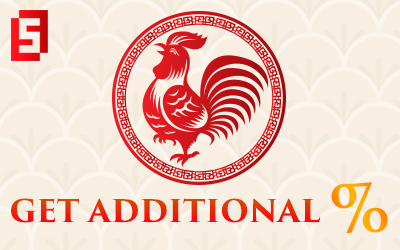 FORTFS company announces the start of the bonus offer "Chinese New Year", which is meant to increase your profit from working in the world financial markets! So, starting from February 1, 2017 to March 3, 2017, when you close each 10th lot, you will receive a bonus to your trading account, which you can immediately withdraw or use for further trading. Terms of the "Chinese New Year" campaign are available here.